Do you cycle in Glasgow? 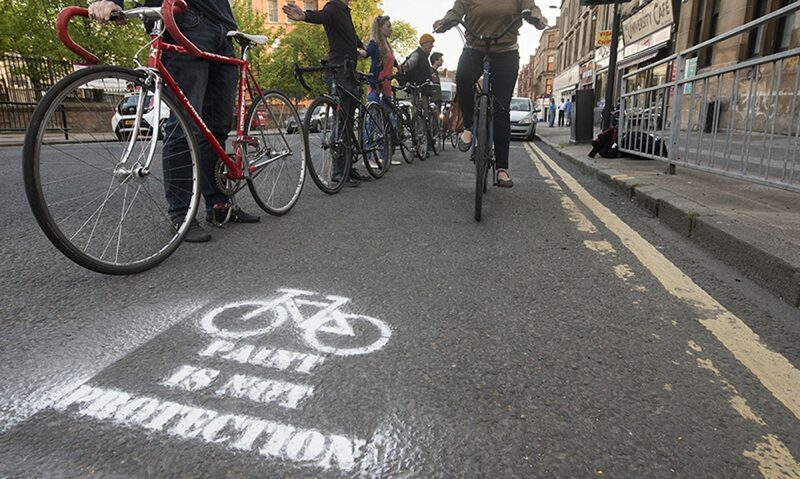 Do you care about the future of our cycling infrastructure? 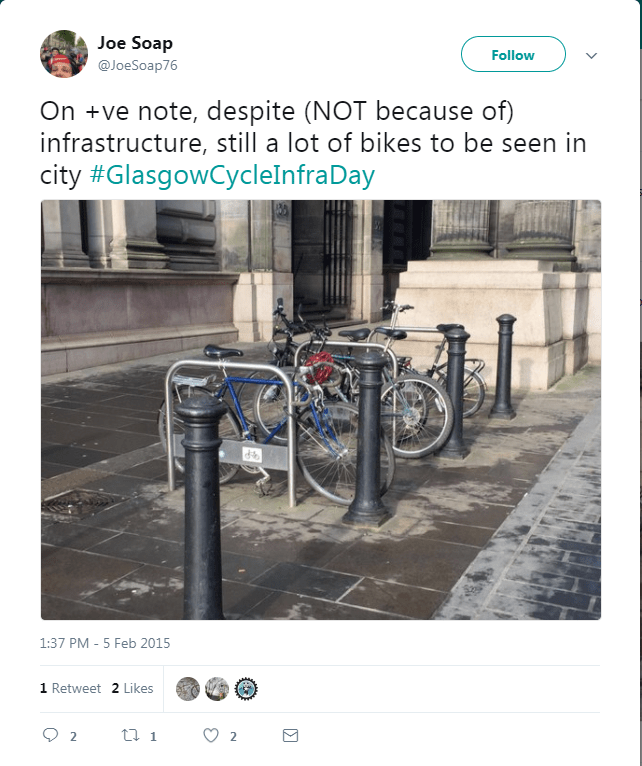 Then GlasgowCycleInfraDay is for you. Friday September 8th sees the campaign returning to our city and with your help we can make this year even more successful. The idea is a simple one: we use Twitter to record “a day in the life of Glasgow’s cycle lanes”. A look at the good, the bad and the simply absent cycling infrastructure over 24 hours. Getting involved is even simpler still. Just grab your camera on the 8th. If you see any cycling infrastructure you think is worth recording just take a photo and Tweet it with this year’s hashtag – #GlasgowCycleInfraDay17. Say where it is and why you’re including it, and you’re done. Not going to be cycling on September 8th? That’s okay – you don’t have to be on a bike to take part, you only need to be in and around Glasgow. And don’t worry if you don’t have Twitter. You can email your pictures to CycleInfraDay@gmail.com and we’ll anonymously Tweet them for you (remember to tell us in your email where you took them and why). Once all the pictures are in they will be collated and presented to the Council to highlight where they’re letting us down and, just as important, what they’re getting right. We’ll also be letting each councillor see what’s going on in their ward. The more pictures we show them the more likely they are to understand what the city needs and push for change. So spread the word… and remember your camera on September 8th. Next PostNext GoBike meets Glasgow’s new City Convener for Sustainability and Carbon Reduction!